This was originally published in June 2000. This interview became a wake up call for me. Normally when somebody got some breaking news other sites would mention it and link to the source. It was seen as ethical, without it being formally defined in that way. George Perez leaving the Avengers (which was a top selling book at that time) was major news and it wasn’t announced anywhere yet. When I told Comic Book Resources I was stunned to see that instead of mentioning it and linking to the interview, they instead contacted George, got confirmation and then announced the news themselves as if they broke it. I learned after that to not give them anymore news. The internet comic community, which used to be very volunteer minded, co-operative place was now commercial. The desire to maximize traffic to make money was now more important. 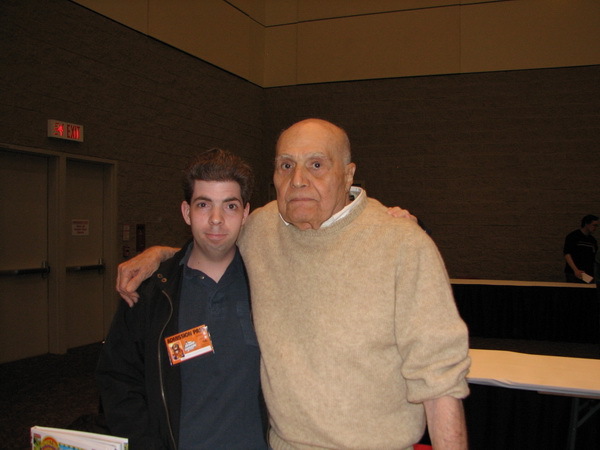 Anyway, I’ve seen George at many conventions over the years and he’s always been super nice to me. He’s generally known as one of the nicest creators out there. George Perez has been working in the comic industry for about 25 years. While some hot pencilers come and go, he’s is one of the very few that remains a fan favorite through the years. He has a long list of very popular works behind him both in DC and in Marvel. Among them, Teen Titans, Wonder Woman, Crisis of the Infinite Earths, and currently Avengers. George answers all sorts of questions and gives us some details about when he is ending his run on Avengers and starting his new work Crimson Plague, coming out through Gorilla Comics. Jamie: We have heard lots from Mark Waid and Kurt Busiek about why they formed Gorilla Comics, but we have yet to hear from you. What is your reason for doing comics through Gorilla? George Perez: The chance to be in full control over my own work is way too tempting to resist. However since I was on exclusive contract with Marvel, I couldn’t work on any new projects until July 2000 when my Marvel contract expired. Except for CRIMSON PLAGUE, which predated that contract With Event Comics seemingly on hiatus while Joe Quesada and Jimmy Palmiotti worked on marvel Knights it seemed the perfect time and place to restart the series. With Joe and Jimmy’s generous blessings, CRIMSON PLAGUE became my contribution to the Gorilla launch. Jamie: Crimson Plague is coming out again through Gorilla Comics (Image). For those that don’t know anything about the series, what is it about? George Perez: It’s about a genetically engineered woman who was first discovered as an embryo inside a dead woman on a mining colony on one of Jupiter’s moons. As the woman (named DiNA: Simmons) grew to maturity it was discovered that her blood was becoming more and more toxic until it was capable of totally disintegrating any organic or non-organic matter. And since DiNA: is a woman, the scientists learn that her menstrual blood could become an airborne virus capable of destroying an entire planet. She becomes a walking crimson plague– and that plague is on its way to Earth. The artistic gimmick for this series is that every featured character is modeled and named after a real person. There really is a Dina Simmons (who is now pursuing a modeling career using the DiNA: Simmons spelling of her name). It’s a real artistic challenge. Jamie: After the one shot, will Crimson Plague turn into an ongoing series? If so can you draw both it and Avengers at the same time? George Perez: CRIMSON PLAGUE is scheduled as a limited series, currently eight bi-monthly issues, although that may change. As for AVENGERS, my contract expires in July and it looks like I won’t be continuing with it as a penciler past Issue #34, another double-sized issue. I just need to take a break from the monthly grind for a while and I’ve been offered a few short-term assignments that I’m looking forward to working on. Jamie: What all happened with that eHeroes.com thing? Fans are still confused. George Perez: As of now, there are still talks going on and, hopefully, this will all be settled by the end of June. I wish I could be more definite and forthcoming, but I’m just waiting with guarded optimism. Things look promising though and Gorilla Comics will survive regardless. Jamie: Will Gorilla Comics be keeping their TPB’s in print and accessible like DC Comics does? George Perez: That’s one of the cornerstones of Gorilla policy. Jamie: Avenger fans wonder and worry how long you’ll be on the series. Any definite answer? George Perez: I think I answered that already. It hasn’t been announced officially, but I see no reason in keeping it mum now. I should explain that this decision has nothing to do with my working relationship with anyone on the AVENGERS team. I love them all. It’s just that, according to my last medical check up, I need to slow down. My blood pressure’s up and my diabetes needs to be controlled better. That means more exercise, among other things, and my current schedule just doesn’t allow that. I’ll still be doing a lot of work; it just won’t be on a monthly title for a year or so. Jamie: If you could add one more character to the Avengers, simply so you can draw them who would it be (excluding the Beast)? George Perez: Tigra. I love the babes. Jamie: You have done a lot of costume designing for Avengers, do you have a favorite? George Perez: The Scarlet Witch. I think her costume is a perfect reflection of her character. Jamie: Kurt Busiek is big on creating minority characters and made the amount of them on the Avengers team a major plot line. What is your feeling on minorities and their portrayal in the Marvel Universe? George Perez: As a member of minority group myself, (I’m Puerto Rican) I must say that the issue never really meant anything to me one way or another. To me a hero transcends racial barriers. It is nice to see different races represented, but I’m more likely to follow a character because he or she or it is written well and drawn well. I do, however, enjoy characters having distinctive personalities and often that is well-served by the character having a unique background that distinguishes him her or it from the other. For example, I always liked what Victor Stone (Cyborg) brought to the Teen Titans dynamic. Ironically, the one Puerto Rican character I am credited for creating, the White Tiger, was actually created by writer Bill Mantlo. I just visualized him, using my childhood as reference. But it was Bill who gave that character his soul. Jamie: There is a rumor floating around that after Avengers you and Kurt are going to do a series for DC featuring their Golden Age characters. Any truth to it? George Perez: None whatsoever. Besides, I wouldn’t have wanted to compete with the memory of James Robinson’s and Paul Smith’s GOLDEN AGE. I thought that was great. Jamie: You had once penciled a JLA vs. Avengers crossover that never saw print. One side says it didn’t come about because of politics, the other (Jim Shooter) said it was because of bad writing and when the writing got fixed you had found other projects to do. What is your take on that mess? George Perez: To tell you the truth, this is a very old topic and my position is already well-documented, so I’ll just let it pass. All I can add is that, regardless of statements to the contrary, there was no other project I wouldn’t have dropped if the JLA/AVENGERS project ever had gotten greenlighted. Jamie: Some people had doubts that you could keep a monthly deadline when it was announced that you were penciling Avengers. How do you draw all those details and keep the book coming out regularly? George Perez: With great force of will and little sleep. Actually, it’s the only way I know how to draw. I love groups and details. I just had to work on my work discipline. Despite my health problems, I’m proud of that achievement. Jamie: Where did you get your art training and how did you develop your popular style? George Perez: I’m self taught and my style was based on emulating the artists whose work I admired. Jamie: Who are your art influences? George Perez: This is always a hard one. There are so many. 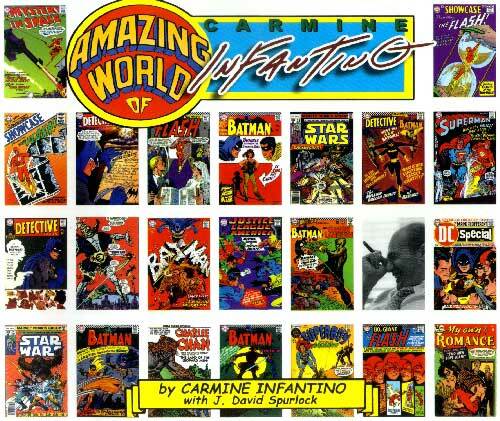 Among the comic artists my first major influences were Curt Swan, Jack Kirby, Neal Adams, Gil Kane, John Buscema, Barry Windsor-Smith, Jim Starlin, Nick Cardy, Mort Drucker, George Woodbridge, Leonard Starr, Murphy Anderson, the list goes on and on, and continues growing. Outside the comics field I’ve been forever inspired by the likes of Norman Rockwell, Alfonse Mucha, N.C. Wyeth, Virgil Finlay, Salvador Dali, M.C. Escher, Bob Peak, Richard Amsel and so many others. Jamie: If you weren’t an artist what would you be doing? George Perez: Probably interviewing an artist. Jamie: You have been a very popular artist for a long time, while many hot artists turn lukewarm in a few years. To what do you owe your longevity? George Perez: I haven’t the foggiest idea. I try to maintain a certain level of excitement to my work and never sacrifice storytelling for flashy visuals– although they are not mutually exclusive. I just hope that my love for what I’m doing is evident– and contagious. Jamie: Which of your many projects on are you proudest of? George Perez: Inking Curt Swan on “Whatever Happened To The Man Of Tomorrow?” A dream come true. Jamie: Are there any writers you have yet to work with that you’d really like to? George Perez: Yep. If Alan Moore, Frank Miller, Neil Gaiman, Mark Waid, James Robinson, Grant Morrison, Devin Grayson, or Garth Ennis are ever interested in working with me, I’d be proud to be in any of their company. Jamie: As of late we’ve had Siegel’s family, Joe Simon and now Martin Nodell ask for their characters copyrights back. What is your take on these events? George Perez: I’m all for creators getting all the rights they can and there seems to be little dispute about the validity of the Siegel’s claims. There does appear to be some disagreement with the others, and I’m not familiar enough with those cases to make a valid judgment. Speaking strictly from a moral and artistic standpoint, however, I believe that all these creators were screwed out of just rewards for creating characters that have netted millions for their respective publishers. But then again, business decisions are seldom made by artists and moralists. Jamie: I hear you are involved with a few charities. CBLDF just gave you a DEFENDER OF LIBERTY AWARD for the money you raised for them over the last three years. Can you tell us which charities you work for and what you do for them? George Perez: I do pretty much the same thing for all of them. I go to conventions and draw like crazy, donating all my commissions to charity. I also boost the amount by printing up some color prints (colored gratis by my friend Tom Smith) of my CRIMSON PLAGUE characters DiNA: Simmons and Shannon Lower and those girls hawk them and pose for photos — all for donations. Among the organized charities I’ve worked for are The Charlotte Firefighter’s Burned Children Fund, The Muscular Dystrophy Association, Make-A-Wish, Florida Hospital Diabetes Association and The Juvenile Diabetes Association. I’ve also raised money to help some friends in dire financial straits and have presided over a few charity auctions as well. Interestingly, the CBLDF is the only charity that I ever have to explain or justify — and that makes it all the more imperative that we never take it for granted. Jamie: I notice you are now posting on the ApeNation.com Message board, but you are very rarely seen elsewhere on the internet. Do you visit any other comic related web sites or gatherings (like Usenet)? George Perez: No. I browse and lurk from time to time, but I’d never get any work done if I sat and typed answers all day — like I’m doing now. Hmmm. Jamie: Anything else you’d like to say to the readers? George Perez: Only that I’d better get back to work — or else they’ll have nothing of mine to read next month. Take Care.